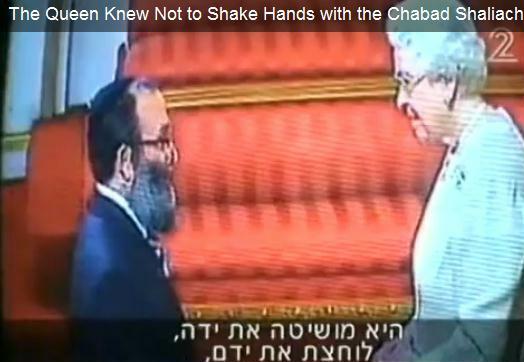 London - Rabbi Aryeh Sofrin was anxious just like the scores of other people scheduled to meet the Queen of England, but for a different reason: what would he do if she reached out for a handshake? The Chabad shaliach to Ilford, Essex, located northeast of London, was about to be dubbed Member of the British Empire for 18 years of work as head of a drug and alcohol rehabilitation center that serves Jews, Christians and Muslims and even has an imam on the staff. But she must have been briefed about him, concludes Rabbi Sofrin, because at the end of their short meeting the 83-year-old Queen Elizabeth II remembered to avoid the customary handshake.